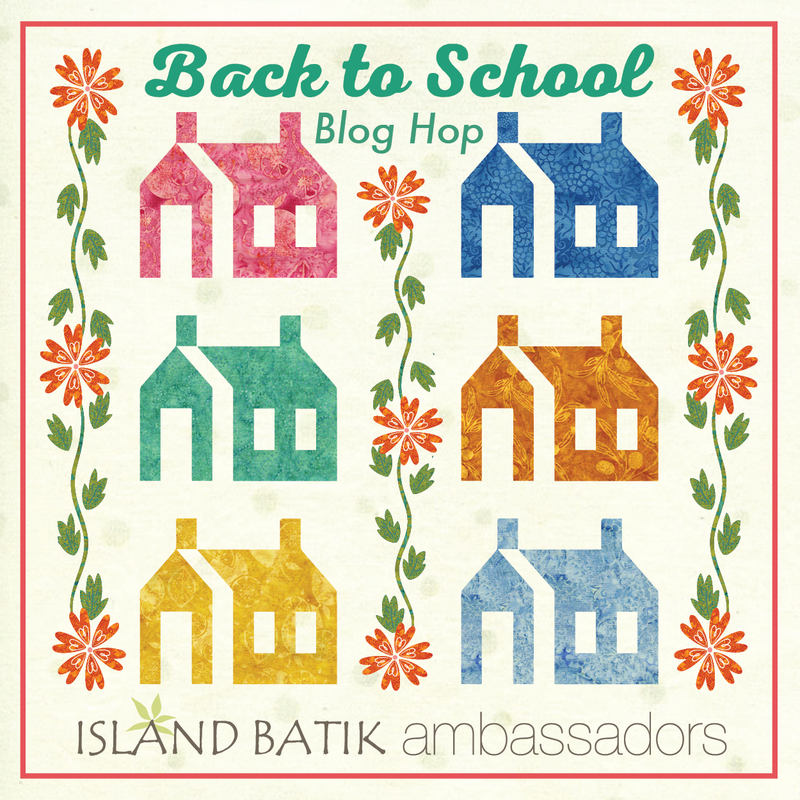 Welcome to the Back to School blog hop with Island Batik! 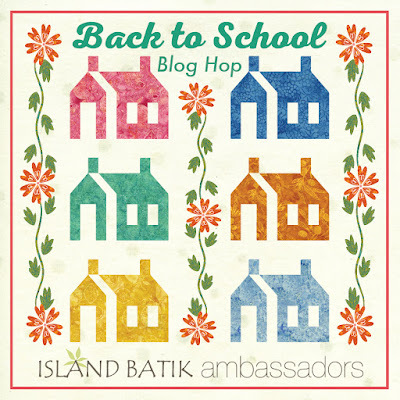 The Island Batik Ambassadors are showing you all the newest collections from Island Batik all month long! I love trying new things! The start of a new school year has me reviewing my quilty bucket list to see what I'd like to learn and try in the coming months. 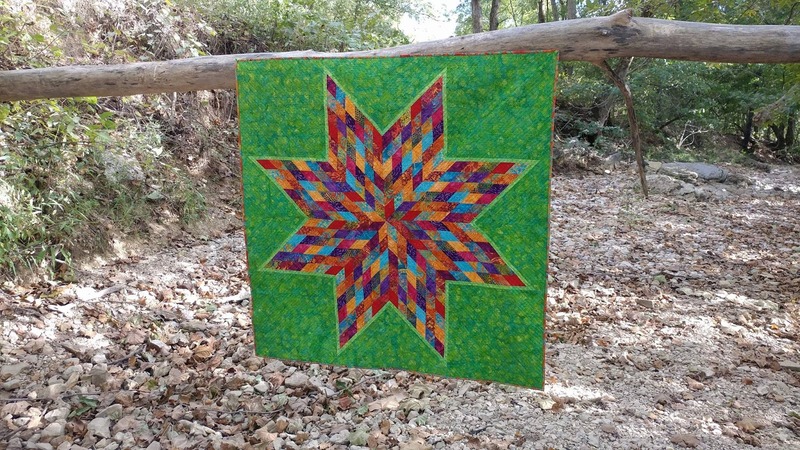 A Lonestar quilt has been on my quilty bucket list for some time. When contemplating what pattern to use for the Empress Garden collection by Island Batik, I knew it was time to try! 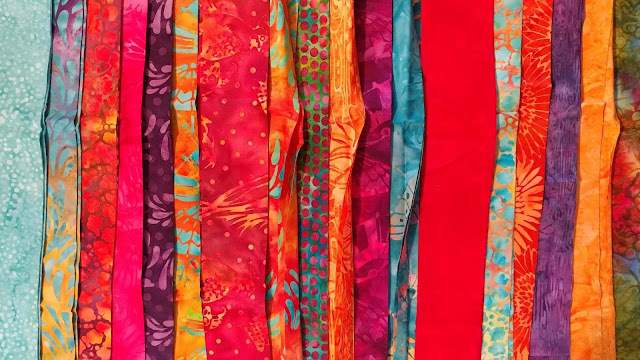 The Empress Garden collection has 20 prints with beautiful saturated colors. I got a half yard bundle of the collection, plus extra yardage of the two green fabrics. I found the tutorial for a scrappy Lonestar from Better Off Thread and got started! I followed the directions for resizing the star here, and used 2" strips to make the 36 diamond panel that resulted in a 48" star. 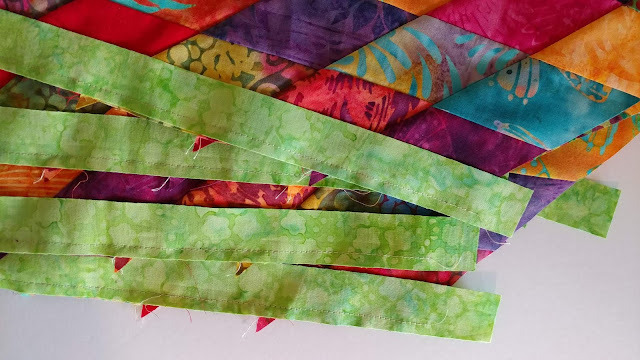 This method required 18 different fabrics - exactly how many I needed if I saved the two green fabrics for the border and background! The tutorial was easy to follow, and I quickly decided perfectly matching points weren't necessary. Finished is better than perfect! The star came together really quickly! 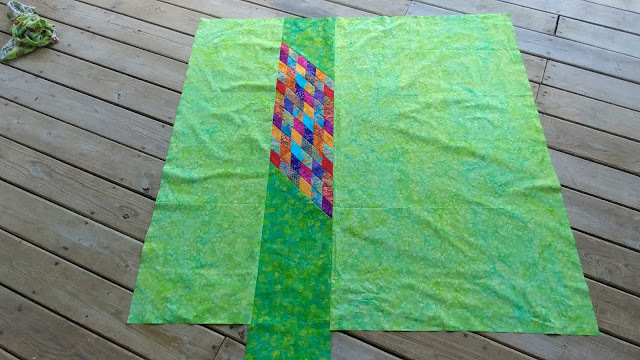 I pin basted the quilt sandwich using Warm 100 by The Warm Company. I decided to use Aurifil 50wt #2235 Orange for the quilting. 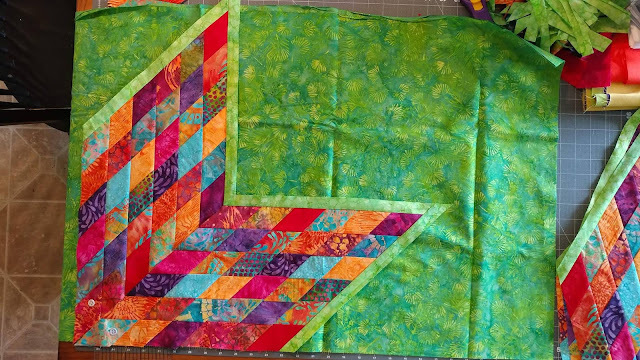 I used the walking foot on my Juki TL-2010Q sewing machine to quilt straight "V" lines about 1/2" apart in each quadrant. 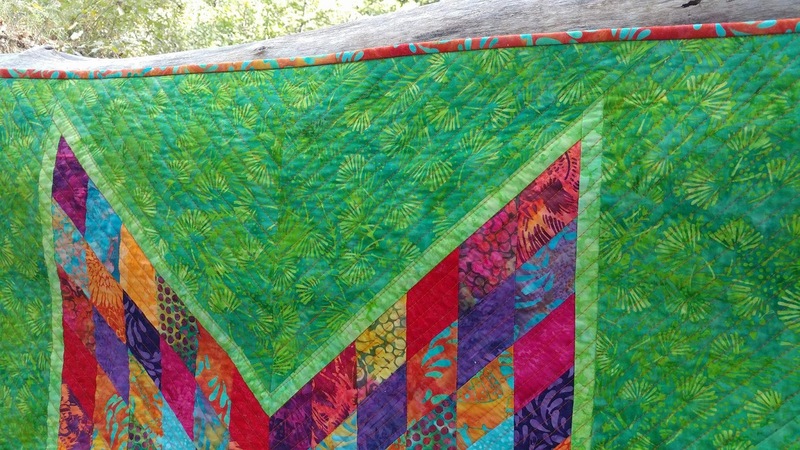 I love the modern look the quilting created! The quilt finished about 48" square, and allowed me to cross "Lonestar Quilt" off my quilty bucket list! Would you like to win my Empress Garden scraps and a copy of my newest pattern "Party Pop"? Just comment on this post telling me something that's on your quilty bucket list! (Giveaway ends September 29th.) Giveaway closed. Want to see the other new fabrics from Island Batik? Visit all the stops on the hop! There are posts planned for all of September, and giveaways at every stop too! 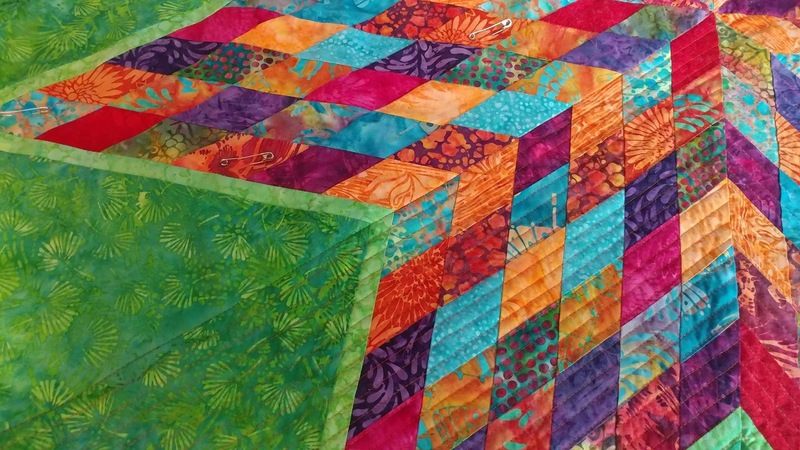 Linking up with Finished or Not Friday at Busy Hands Quilts, Can I Get a Whoop Whoop? at Confessions of a Fabric Addict, Finish It Up Friday at Crazy Mom Quilts, Main Crush Monday at Cooking Up Quilts, Linky Tuesday at Freemotion by the River, Let's Bee Social at Sew Fresh Quilts, Wednesday Wait Loss at The Inquiring Quilter, Midweek Makers at Quilt Fabrication, Needle and Thread Thursday at My Quilt Infatuation, and TGIFF at Katie Mae Quilts. 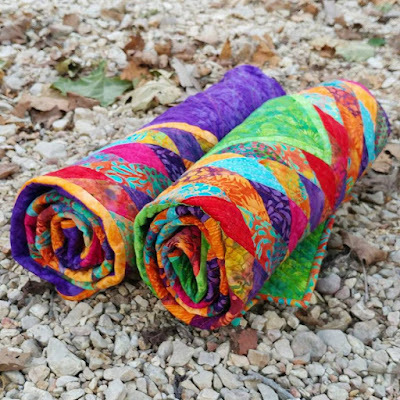 You are creating such fresh beauties with these batiks. Keep creating and inspiring. I have several quilts on my bucket list including a Lone Star. But Sarah Fielke Mosiac quilt and Bonnie Hunter Perkiomen Daydream quilt are at the top of my quilt bucket list. Oh my gosh!!! Those colours are gorgeous and your pattern is beautiful!!!! Oops! I forgot to say that a Lollipop Quilt is on my quilting bucket list!! My bucket list has way to many quilts on it. But I take them one at a time. Very pretty! I have a Lone Star quilt on my to do list as well as a double wedding ring. The Lone Star may have to move to the top now that I have seen yours! Gorgeous. The fabrics seem perfect for this pattern. 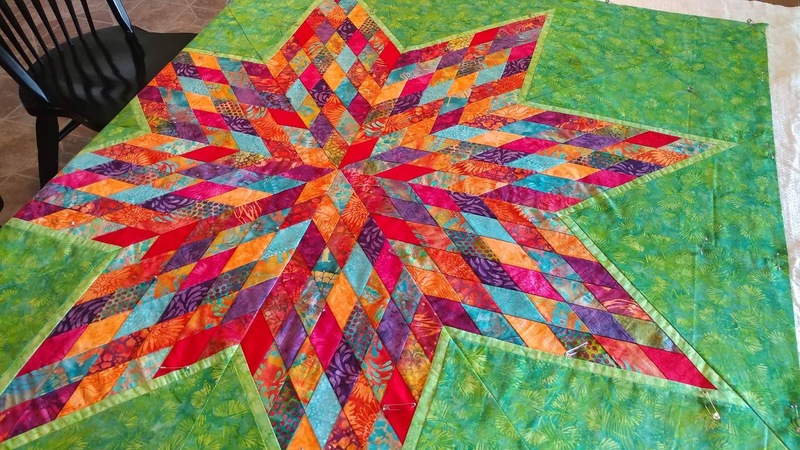 A Lonestar quilt is on my list. I have even been gathering fabrics for it for a few years. 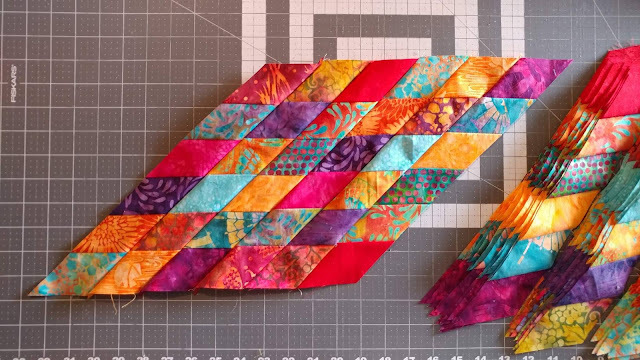 Also on my list is to actually try free motion quilting instead of just hoarding information. Thank you for the chance to win. wow these are gorgeous. learning to do applique is on my bucket list. as well as doing a Disney cruse. Gorgeous, and I must say, I love seeing how you quilted it. 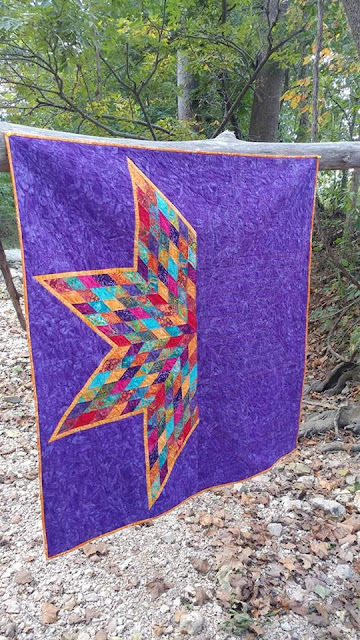 You two have certainly inspired me to make a Lone Star quilt. Hopefully very soon! My quilty bucket list is extensive, but I will live only so long! One technique I do really want to try yet this year is the Dresden Plate. Even if it's a small project like a mini quilt or table topper, I need to dig into it! 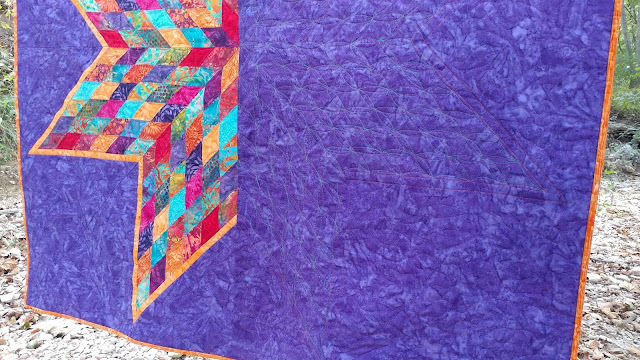 I do love those batiks and all of the purple! Such gorgeous colors! A Marineers Compass is on my bucket list along woth quite a few others. I've been knocking them off lately, Twisted Log Cabin is done, Red and White Vortex is done, Kaleidoscope is done. 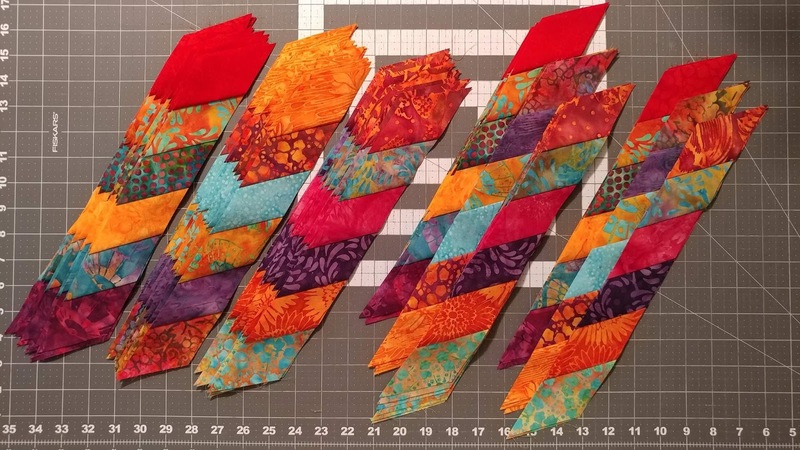 I think I'm taking a year off although I am currently putting together a King size Lockwood Bargello. I am old and crazy. I love, really love your quilt. I would pick these colors, do this quilt with a black background. It's a stunner. My bucket list includes a lantern quilt. Great quilts. My bucket list?? LOL. Maybe finishing more. I often choose something new to do, so although I have a list of future, need to get the partials done first. I have so many UFO's to finish, I can't even think about the bucket list! And I have the same problem everyone else seems to have. I keep finding new quilts to make. 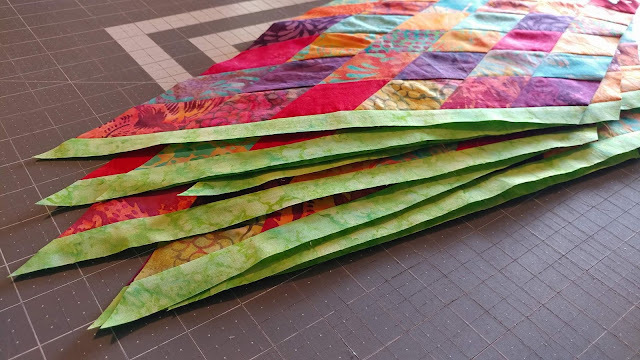 Gorgeous quilts - I am working on a couple of UFOs and one mroe swap mini quilt and then it is on to Christmas projects!!! Right now I have several UFOs that I have to finish but I have a lovely STAR quilt on deck that these fabrics would be perfect for! Wow, your quilts lie so flat...I've made 1 lone star and it was a pain to get somewhat flat...nice job!! I am in process of finishing some UFO's, but would really like to whittle down my scrap pile! Learning to quilt freehand feathers is on my list. 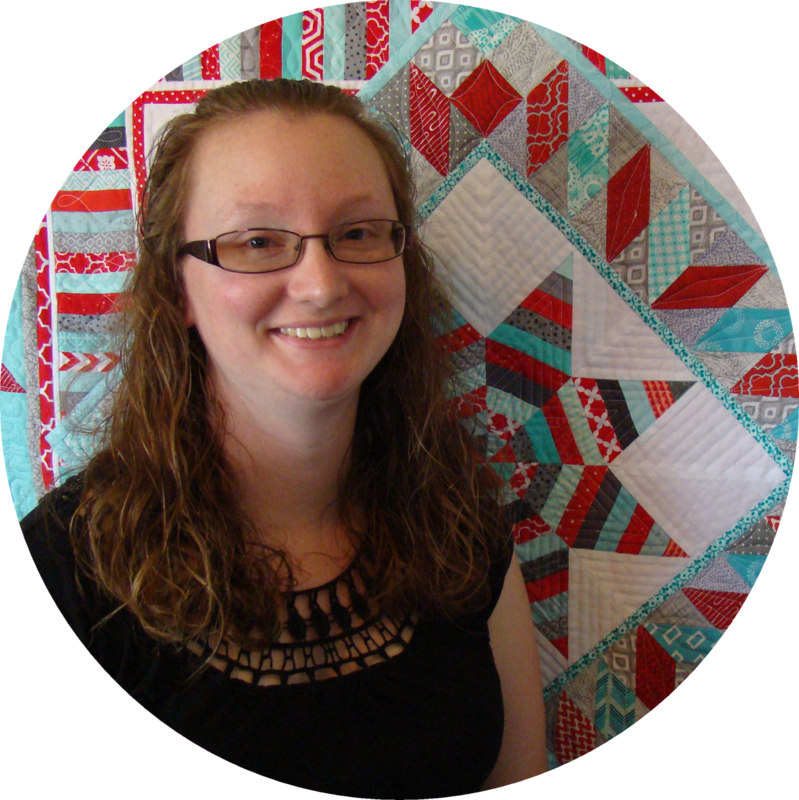 Your quilts are really gorgeous! My list still includes a Grandmother's Flower Garden. My bucket list includes using the Dutch fabrics I bought in the Netherlands. Love your stars. I have a "x's and o's" I'm working on and I also want to make a heart quilt. But there are so many other quilts I would love to make, but there is never enough time after looking at all the quilts others make. A double wedding ring is on my bucket list. 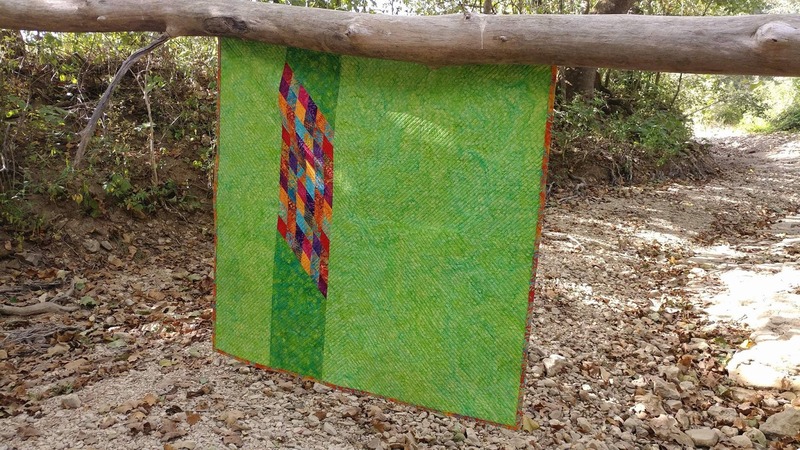 I love the colors you used in your quilt! wedding ring is on my bucket list, as is learning FMQ. Your stars are FABULOUS !!! Your Lone Star is stunning! My bucket list includes a baltimore album made with batiks. In the meantime, I'm making a lot of zipper pouches for Christmas gifts. Thanks for the chance to win! 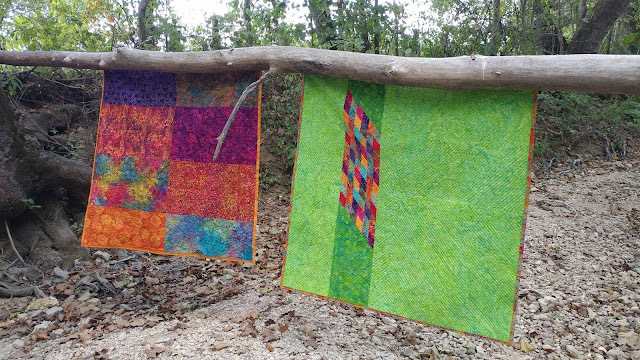 Love the colors in your quilts! 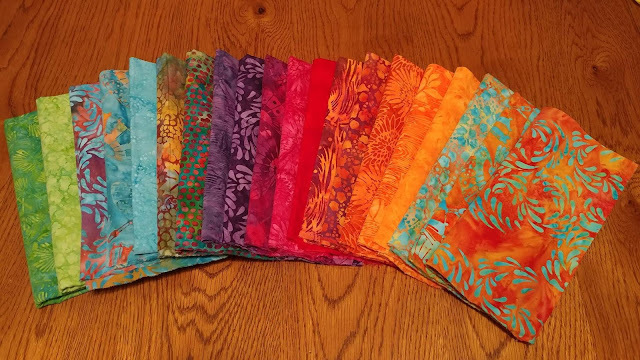 Since I have already made a Lone Star quilt, I would like to make a Giant Dahlia quilt with batiks! I do love the colors of the Batiks and I can't believe that the background change made such a difference in the two quilts. Well, I have a pattern for a giant giraffe that is calling my name (and has been for a number of years). Even have fabric, but....it has some applique! I don't have a bucket list. But I do have a WIP list. If I ever finish that one, I'll feel like a rock star. It's beautiful! Right now my bucket list is just to actually start and finish 2 quilts for my grandkids! LOL! I would LOVE to win your scraps. I am a scrap quilter. That's almost all I use. My fabric wants to play with your fabric. Love your Lone Star! 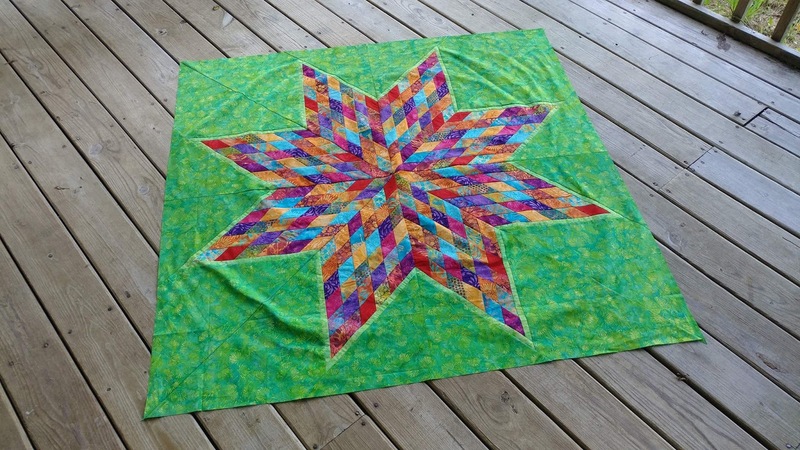 I did one years ago with Quilt Smart fusibles and it is one of my all-time favorites! A Log Cabin is still on my bucket list. So is a Hawaiian style quilt. And prairie points. Congrats, Emily! You are the winner of the giveaway! Yippee!! Thanks! I responded to your email with my address. So exciting! I am going to finish the last few blocks of the Splendid Sampler, and assemble and finish the quilt. 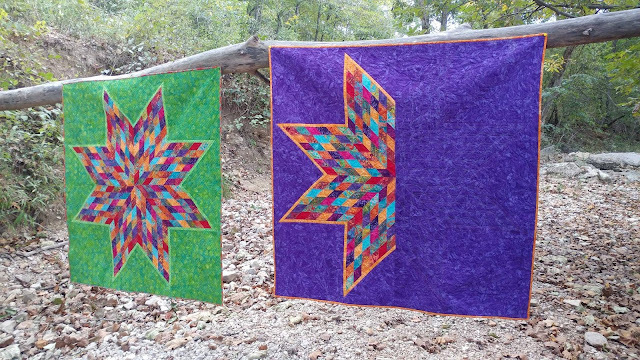 Beautiful quilts, love them both! Will have to make a lone star, after I finish 3 ufo's..! I want to make a Grandmothers Fan Quilt. 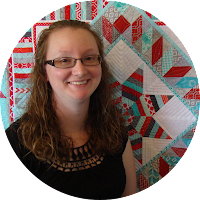 There are sooo many quilts on my bucket list, so little time! I would like to make a quilt with stars in it. I have never made a lone star before and that would be cool to do. 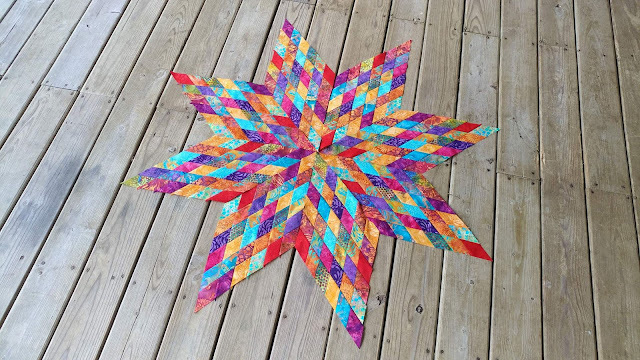 A Longstar is on my bucket list and I quite like your half Longstar with ghost quilting!!! I love these fabrics!! My bucket list includes a Halloween crazy quilt for which I have collected quite a few fabrics. Ha! 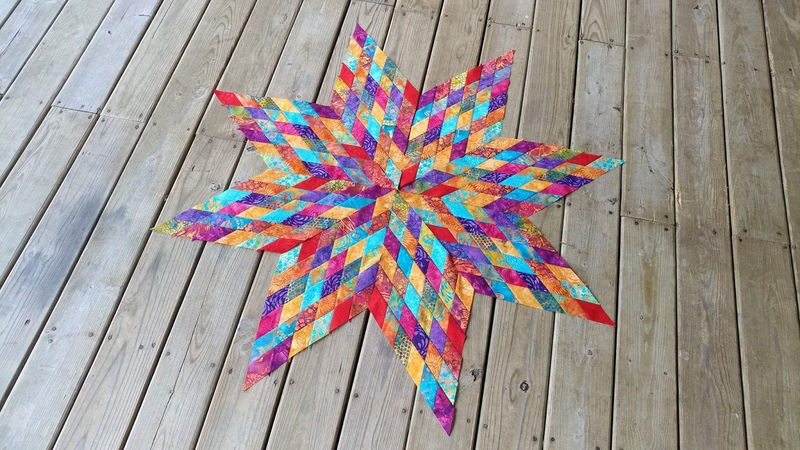 Thanks to you and your gorgeous quilt I'm adding a Lonestar Quilt to my bucket list!! :) Whew, my list is getting longer every day! 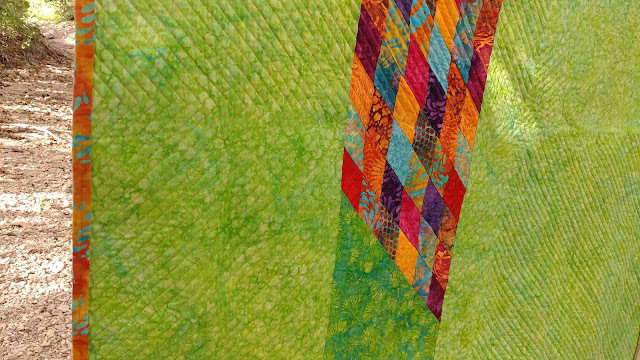 Love the straight line quilting - it looks so fresh and modern on your quilt. I want to finish my grandmother's flower garden and my Twin size little twister quilt. Those are on my bucket list. I'd like to try some applique. My quilty bucket list has a hand pieced (not EPP) Grandmother's Flower Garden. My mother made me a queen one and it was stolen before it was put on my bed. I found some flowers that did not make into the quilt. I may have to redo them. You can tell she was extremely ill when she was piecing. My quilt bucket list has a sampler quilt on it. There are so many sampler quilts I just can't decide which one or which blocks to narrow them down to. Such fun! My bucket list is to finish one tub or dresser drawer of quilts. Congrats on getting a quilt off your bucket list!! Both are beautiful! I've thought about this quilt...but never tried making one. Love the quilting! Even though I am sewing as fast as I can, I have a bucket list a mile long. One quilt on that list is Jack's Chain. Love your Lone Star. I would like to make a paper-pieced circle done in different quarters with the same fabrics you used for the Lone Star. I am dreaming already about it. Laura those batik are gorgeous and your treatment of them really make those colors shine. 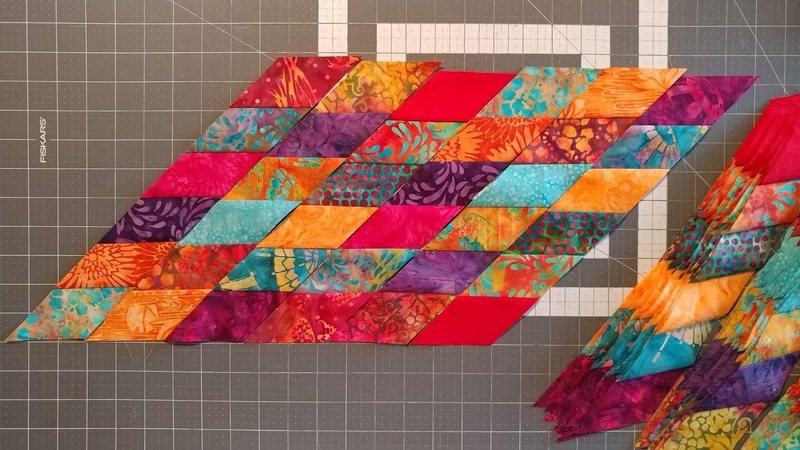 My bucket list for quilting projects starts off with a tessellated heart to finish which making connections quilting grids would be a huge boon! Both of your quilts are stunning! You have to be careful with lone stars though, they are seriously addicting. The scrappy look is so much fun, and the background fabrics just make the whole thing pop! 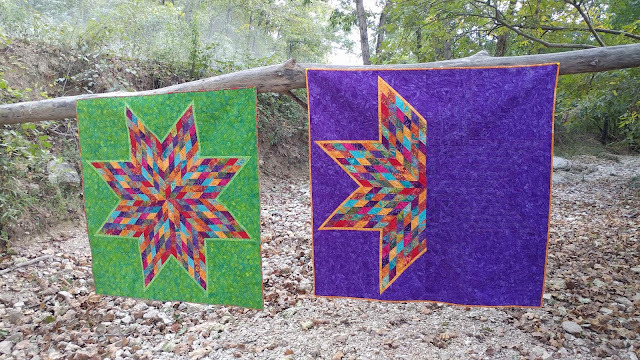 Hi Laura, your Lone Star quilts are gorgeous. It really is amazing the different look you get from the different backgrounds. 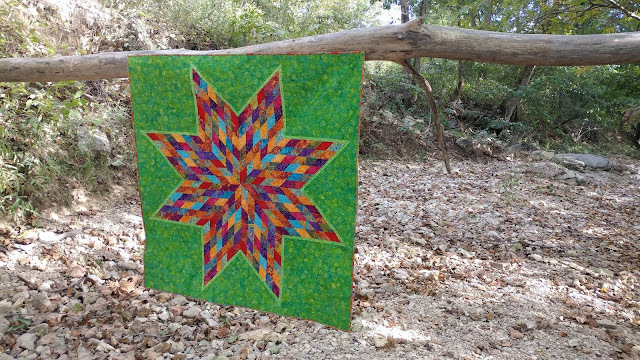 Another Lone Star quilt is definitely on my bucket list since the first one I made was actually the first quilt I ever made! It would be great to make one now that I know what I'm doing! Two for one! Gotta love that. And you've checked another one off the bucket list. Win, win, win! A lonestar is on mine as well. Wonder if I'll ever do one? Thanks for linking up to Wednesday Wait Loss. Beautiful quilts! My bucket list of "someday" quilts has a Mariner's Compass at the top! 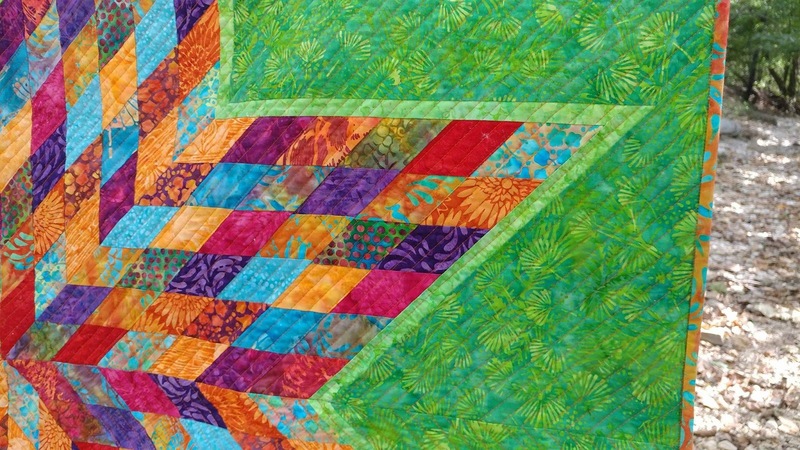 I have an applique quilt on my bucket list. Snowfall Quilt - My 100th quilt finish! Teal Mini Swap Quilt Revealed!